You are here: Home / It’s a boy! 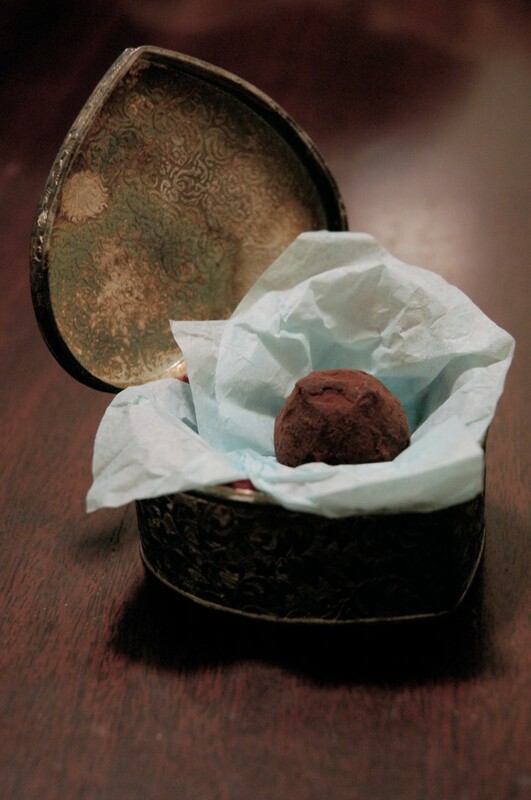 I realize this post is a bit late, since I rather ruined the surprise in my previous pregnancy update. However, my motto recently (especially as I move into motherhood) has been “better late than never”, and as a first-time parent I’m sure it’s my duty to show off baby’s first photos, however blurry they may be. Ashton and I really thought (we were nearly convinced!) 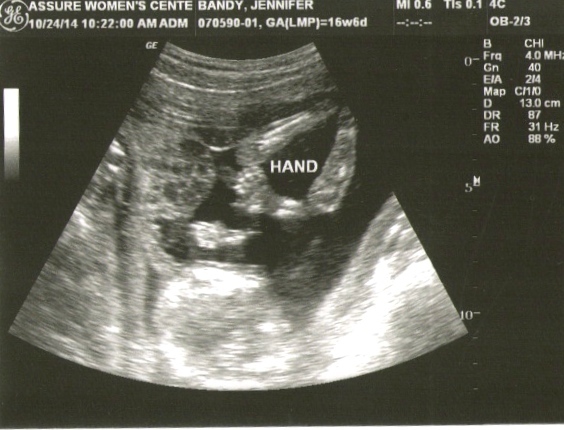 that we were having a girl, but we did want an ultrasound to confirm the gender, and to see our little one for the first time. We were planning a trip to see my family (and I really wanted to share the experience with my mom), so I contacted my friends at the women’s pregnancy center in Omaha and asked if we could have one done there. 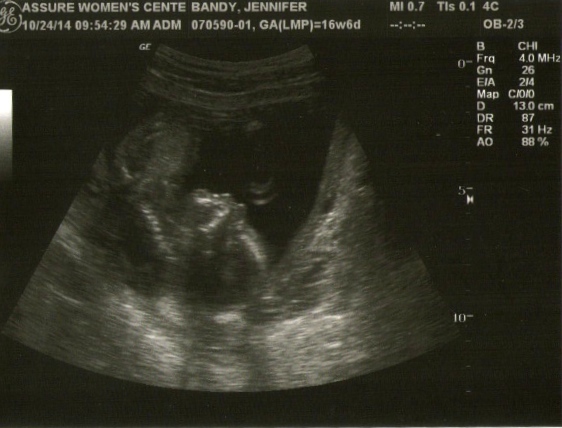 I had volunteered at the center as an advocate for seven months, and at the end of most appointments I was able to be with the women as they had their ultrasound done and saw their baby for the first time. We thought it would be so special to see our own little one at the same center, with the same nurses I had volunteered with around us sharing in the joy. So during our trip to Omaha to see my family in October, we stopped in to the center, excited to see our little one and hoping (though not counting on!) finding out the gender. I was 17 weeks along and we knew it would be rather early to tell, but we were hoping! My mom went with us, so between us and the nurses, we had a room full of people excited to see the miracle inside my womb. And I must say… even after seeing plenty of ultrasounds as a volunteer, there really is nothing like getting a glimpse inside of your own womb, getting to see the profile and outline of your own baby, witnessing life growing in such a natural yet mind-blowing way. Our little truffle was very active the whole time. I honestly thought that I could usually tell when baby was awake and really moving around, but I was surprised to see so many strong, sharp movements going on that I couldn’t feel. 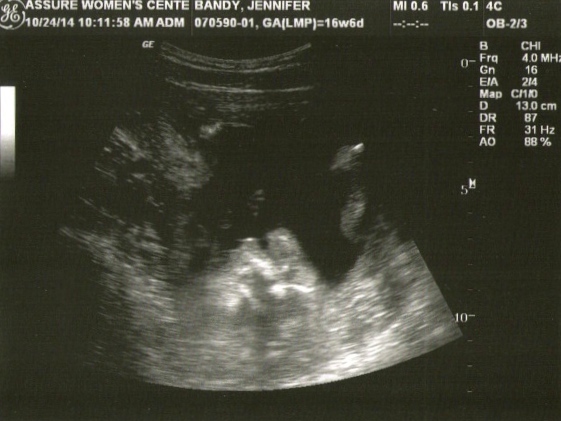 We were thrilled to see our little one kicking up a storm, punching, twisting, rolling, swallowing, touching his face, and even waving at us (eliciting a lot of laughter and “awwwws” from the women in the room). I had no idea our baby was so active. Now that I’m even further along I can feel it more, but at the time it was so amazing to realize how much was going on inside my belly that I was unaware of. While we weren’t concerned about health issues or finding something unexpected, it was such a joy to see the perfect little body of this miracle our Creator has been knitting together… fingers, toes, little feet, strong femurs, the spine, the beating chambers of the heart, the brain, the skull, the ribs, the cute belly and the most adorable little nose you’ve ever seen. And I’ll spare you the photos, but after long last we were able to get baby to hold still long enough to find out if we were having a son or daughter. And after four good pictures, everyone in the room pretty confidently agreed that we were looking at our little boy. 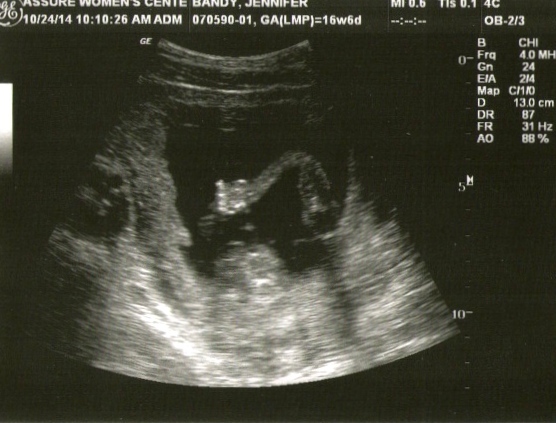 Of course, we know an ultrasound can only be so accurate, and we could always be surprised in April! But we were confident enough to announce the gender and start planning for a navy blue themed nursery. 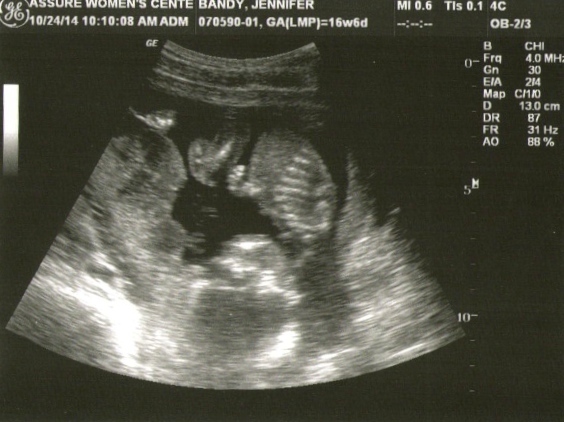 We were pretty shocked, to say the least… a boy! I grew up with five brothers, but as we walked out of the center, grinning and stunned and so happy, I remember thinking… what am I going to do with a BOY?! But as surprised as we were, I know the answer. First, I’m going to kiss him, and snuggle, and examine his little nose, fingers and toes. Then, we’re going to raise him to fear the Lord and to walk in His ways. We’re going to play in the park and go exploring, build with legos and travel around with model trains. We’re going to build things and read books and play hide-and-seek. And we’re going to enjoy the moments we have as we raise a son for the Kingdom.